Balance on your side with the help of your arm and opposite leg, and roll from about two inches below the hip to the knee. To increase the pressure, stack your legs. Do this slowly several times, then switch legs. Lie face down with the roller starting under your hips and crawl forward and backward with your arms to move (slowly!) from hip to knee. Make sure that you drink water before and after stretching; when fascia is stretched, toxins are released and you want to purge them from your body. No tool works as well as human touch. A certified massage therapist can ascertain the sources of restriction and pain and work in a holistic way to release fascia and muscular trigger points. Many healthcare plans include reimbursement for massage therapy and it is definitely worth the time to permanently relieve pain and gain mobility. 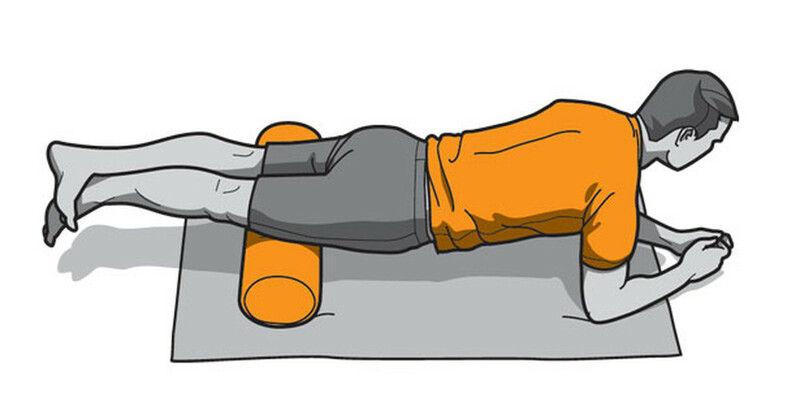 For now, if you’re looking for an inexpensive and effective way to take care of your pain, start by using a foam roller.